Daylight Saving Time ended yesterday… and it seems the sun set on this game quite early, too. Yikes. Misses galore and a three-day champ in the red heading into Final… and that’s just the tip of the iceberg. Here’s the deal: as the leader, the strength of mind games depends on having a reasonable idea of what your opponent might do. 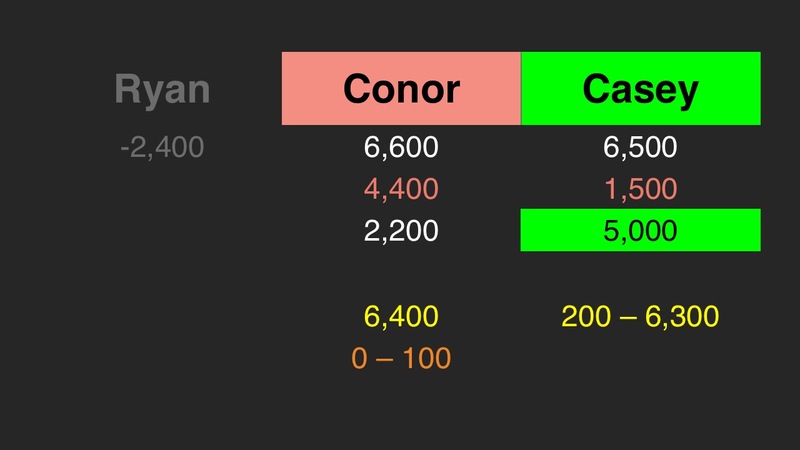 The problem for Conor, our leader: Casey can do pretty much anything and, unless he’s really lucky, he’ll have only a 50% chance (or thereabouts) in winning. … or just hope he guesses right. He pegged Casey for the 2,300–2,500 range, I suppose. No such luck. I got it right. During that period there were more winners from Germany and Austria than Scandinavia. 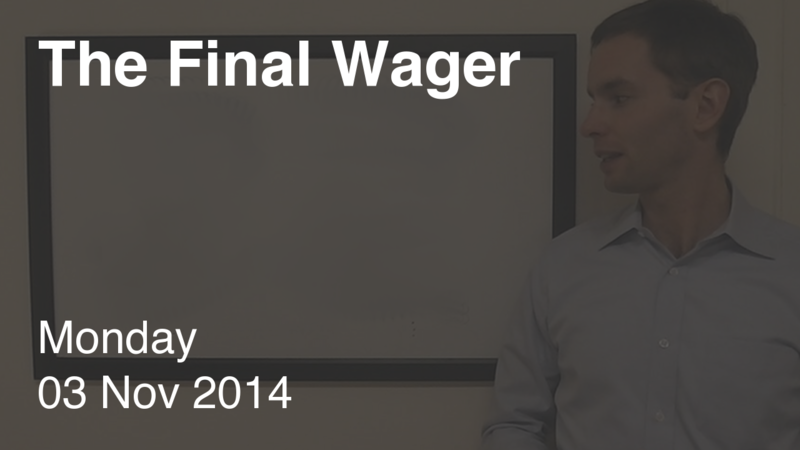 But if Conor didn’t know, he should have known to bet zero.